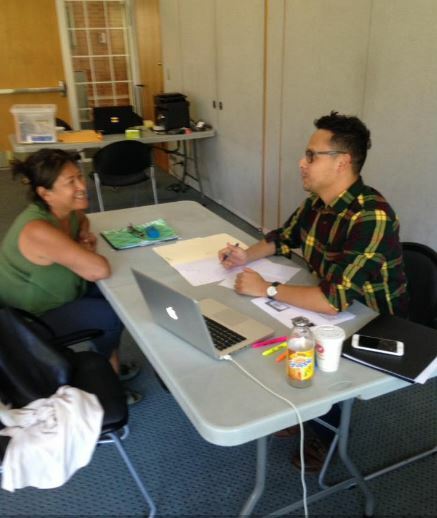 Law student helping an immigrant apply for citizenship at Westbury public Library. As an immigration lawyer I have often been asked whether a person born abroad who has become a U.S. Citizen needs to obtain a “Certificate of Citizenship.” Usually, if the person has a United States Passport, I have told them “No.” The U.S. Passport has, for decades, been conclusive proof of United States Citizenship. Now, however, under Donald Trump, the Customs and Border Patrol is challenging the citizenship of some people with U.S. Passports. This has led to a recommendation from legal scholars that some foreign-born citizens with passports apply for their Certificates of Naturalization. Not every naturalized citizen needs to do this, however. The group that is at risk are what are called “Derivative Citizens.” These are people who were living in the United States as children when their parents naturalized and became citizens. Those children also became citizens as long as “Derivatives” if they were under 18 at the time. The Trump Administration is no longer respecting the long-established use of the passport as conclusive proof of citizenship for these “Derivative Citizens.” To be safe, and to avoid delays during travel, these individuals should file a Form N-600. While the form is expensive to file, in many cases a fee waiver may be granted. The application can be found here. If you seek help, private lawyers charge $750 to $1,000 in addition to the Homeland Security filing fee. Both CARECEN and Catholic Charities also provide help in filing for a Certificate of Naturalization, although both charge a fee for the service.